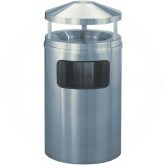 Glaro’s "New Yorker" WasteMaster™ Collection is known for its conservative, dignified appearance, widely recognized as one of the premier product lines in the marketplace. 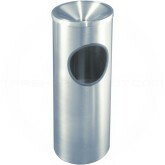 The contemporary design and sleek satin aluminum finish will enhance any décor. 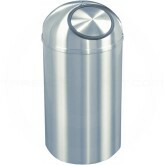 The specially coated satin finish always looks new. 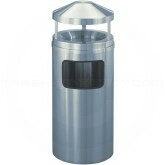 The collection is known for its durability and ease of maintenance indoors and outdoors even in the most demanding environments. 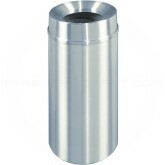 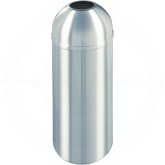 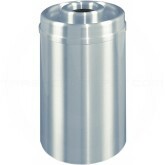 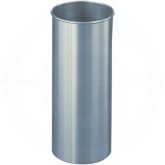 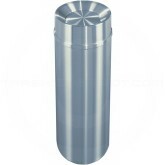 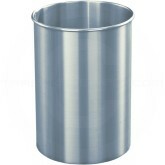 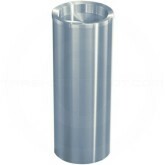 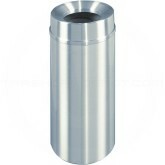 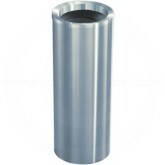 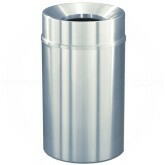 Glaro's New Yorker Satin Aluminum Receptacles are Rust Proof and Tarnish Proof and each outer receptacle cylinder is constructed from heavy gauge rolled aluminum that has been carefully satin finished. 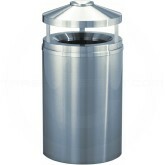 The Satin Aluminum tops are made from heavy gauge, seamless aluminum, and hand formed by Glaro's unique metal spinning process. 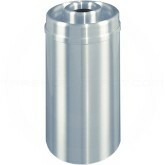 The receptacle tops are then satin polished by hand and finished with a permanent, high temperature baked clear powder coat finish. The result is a permanent corrosion-free surface that is maintenance free and is easy to clean. 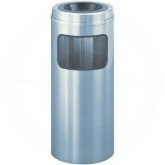 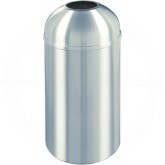 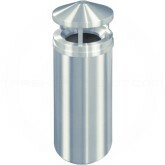 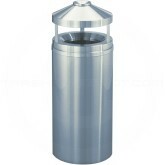 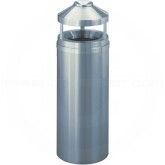 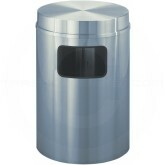 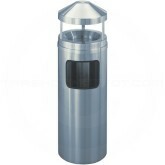 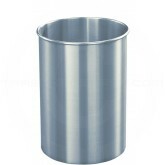 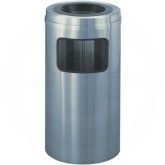 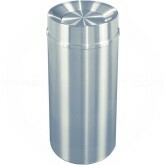 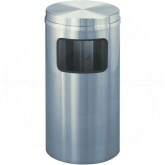 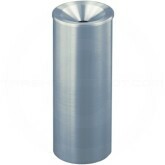 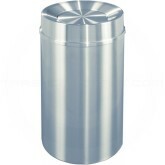 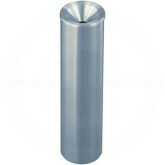 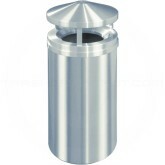 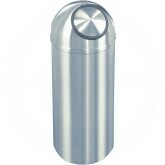 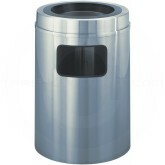 Glaro Satin Aluminum Receptacles include a fireproof, galvanized steel inner container with a full "lift out" handle for easy removal of refuse and a noncorrosive, non-rusting aluminum bottom.